Since I do about half of my work online, the web browser is probably one of the most important programs I use. 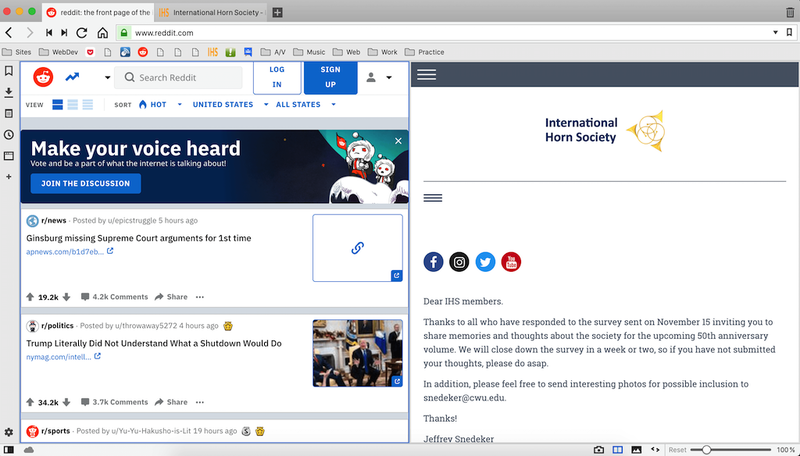 Indeed, for many people, the web browser is becoming the most important app on their computer. Today, the web browser is almost like a second operating system – I would venture to say 75%+ of the time people spend on their computer is spent doing something in the web browser. Google took this idea to the next level, and essentially made an operating system that is based around a web browser (ChromeOS). Since I’ve been trying to move away from Google in some respects, and since Google has been making some very interesting decisions regarding Chrome, I’ve been looking for alternative web browsers whenever I’m not on my ChromeOS machine. Probably the non-Chrome web browser I’ve used the most is Mozilla's Firefox. Within the past year it has been updated so that it is (in some respects) faster than Chrome, and in my experience it does seem snappier. Of course, you can slow any browser down by loading it with plugins, but even with a few plugins Firefox seems to coast along at a pretty decent clip. While Firefox is great, in some ways it just seems a bit…boring. It works great, it has no major problems, but it’s also something I use with a bit of resigned sadness. It’s the Toyota Camry of web browsers. 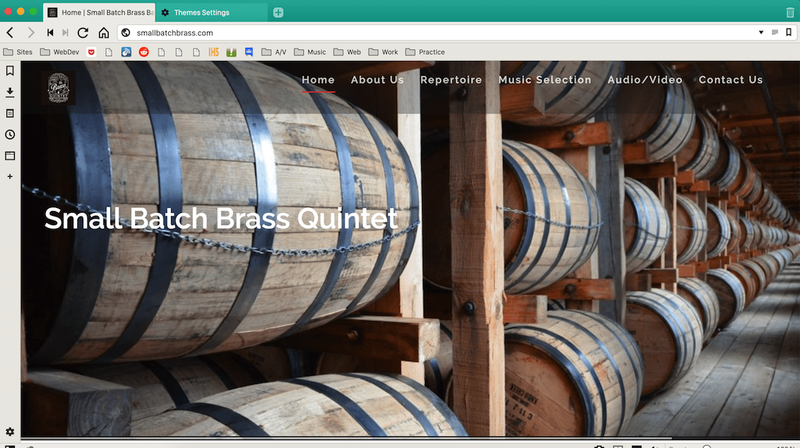 So while I wasn’t out looking for anything new, I stumbled across a relatively new browser called Vivaldi, and I must say I was pretty impressed. I say new, but Vivaldi has been out since April of 2016, although it only recently received updates that improved performance enough to be a daily driver. 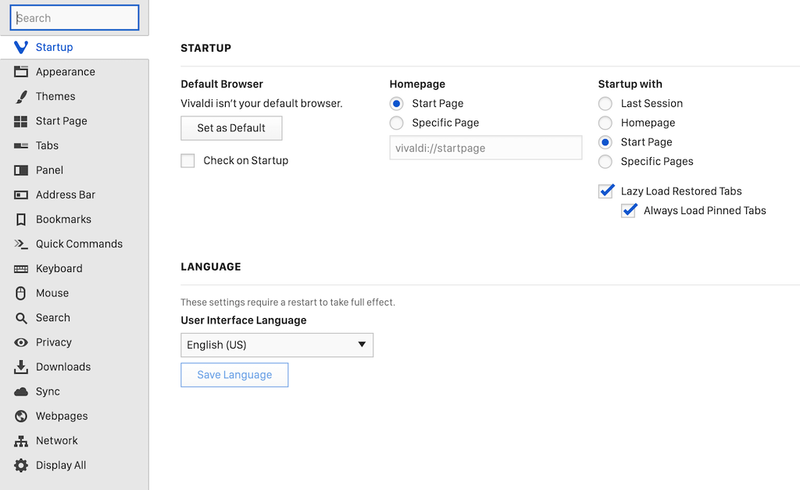 The real draw of Vivaldi, though, is the number of options to tailor the browser’s appearance and behavior. And boy are there options! 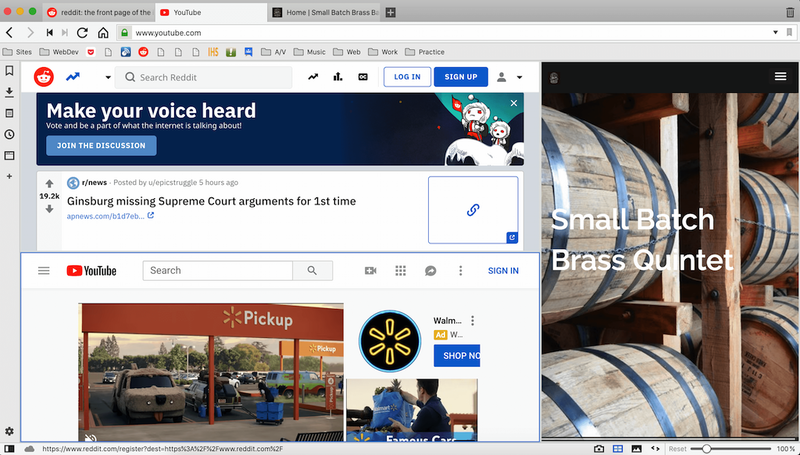 Vivaldi is an interesting browser, using the base of Chromium (which is the basis of Google’s Chrome, Microsoft’s Edge (in 2019), Opera and several other browsers), but with quite a few additional features that aren’t in Chrome. It also doesn’t contain the same amount of Google-related tracking that the Chrome browser contains and Vivaldi says that they collect less information than Google (and they make it easy to sync with encryption so they can’t see your browsing history or bookmarks). Themes that can adjust based on time of day and the colors of the site you’re on. Customizable top toolbar and web/search fields. 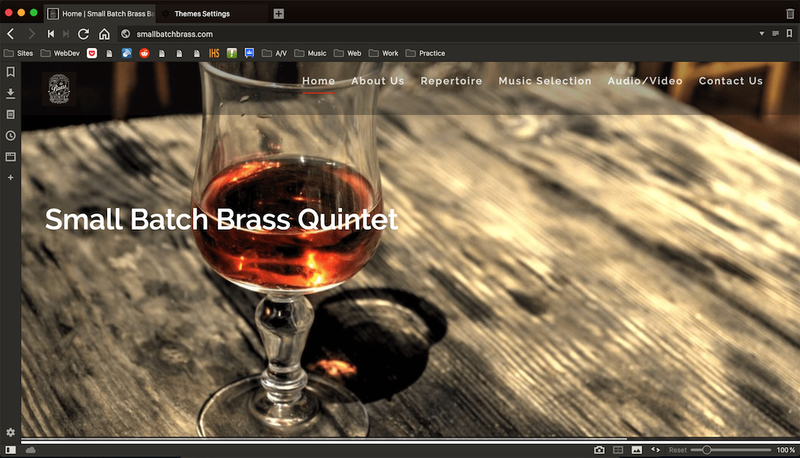 The ability to see multiple sites at once, with tab tiling (splitting the screen into 2 or 4 different sites), and additional side panels which can display web sites at the touch of a button. Enhanced privacy and anti-tracking features. 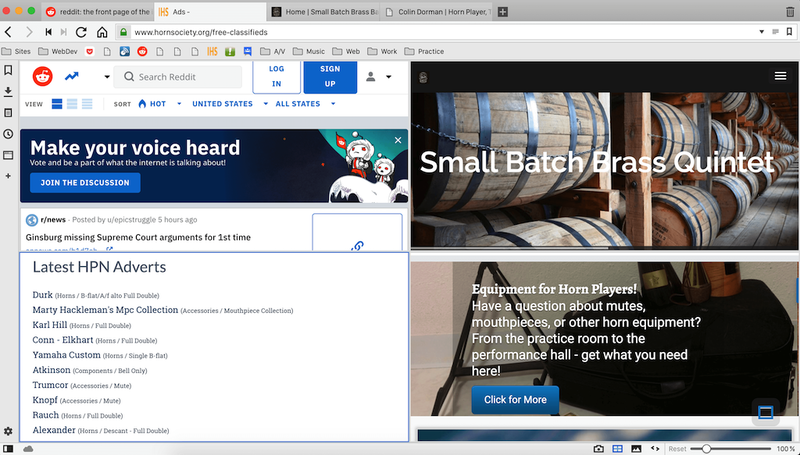 Can use just about all the normal Chrome plugins. 2 pages in the same window. One (of many) lighter themes. Or a dark theme. Both grabbing colors from the site you’re on. Tabs along the left edge, with previews. If you’ve never used anything but Chrome (or your OS’s default web browser), do yourself a favor and give Vivaldi or Firefox a try this year.. 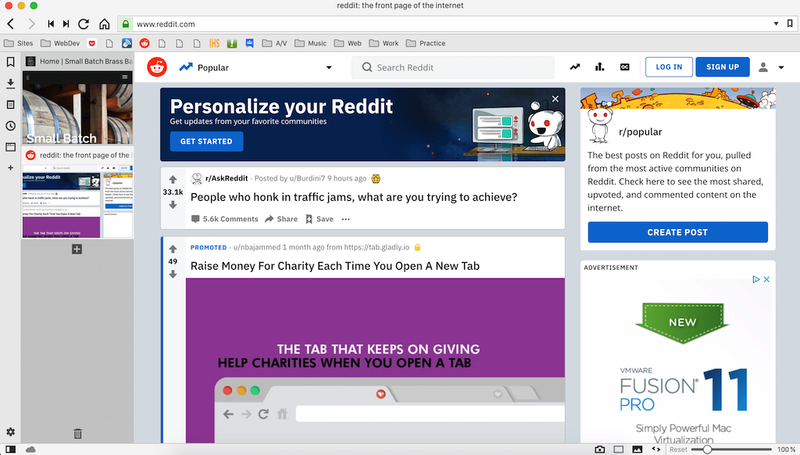 If you like to tailor things just right, you can probably get pretty close to perfect with Vivaldi, and if you like simplicity and speed then I think Firefox is a great choice. Both Firefox and Vivaldi are cross platform (available on MacOS, Windows 10, and Linux) and can be found by clicking the links below.